In response to popular demand, we’ve added a new feature that gives you the option of displaying PTO hours and earnings on your employees’ printed pay stubs. Your employees can always conveniently view their pay stubs and PTO balances on the mobile app or within the employee self-service portal online, but if you’re a traditionalist who also likes to print and distribute pay stubs, PTO can now be included. 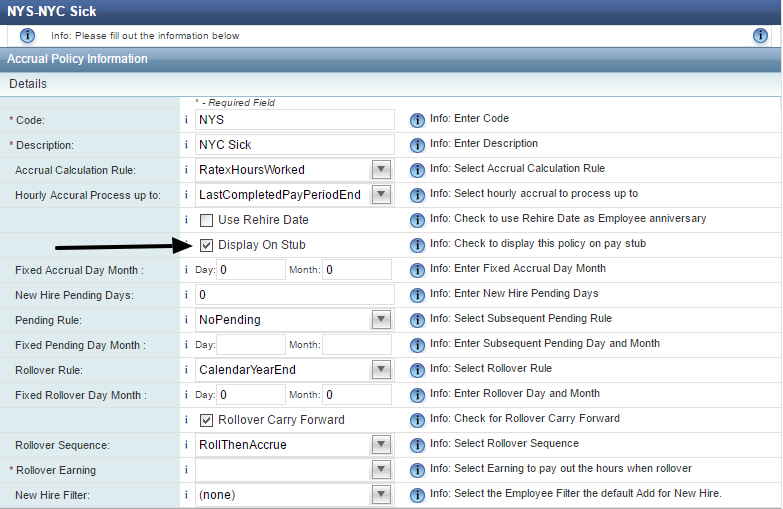 When printing stubs through the Payroll Dashboard, once your stubs download, you should see “Paid Time Off” at the very bottom. You can customize which accrual policies display so that if you want some or all accruals to show up, you can select which ones should display on the stub. 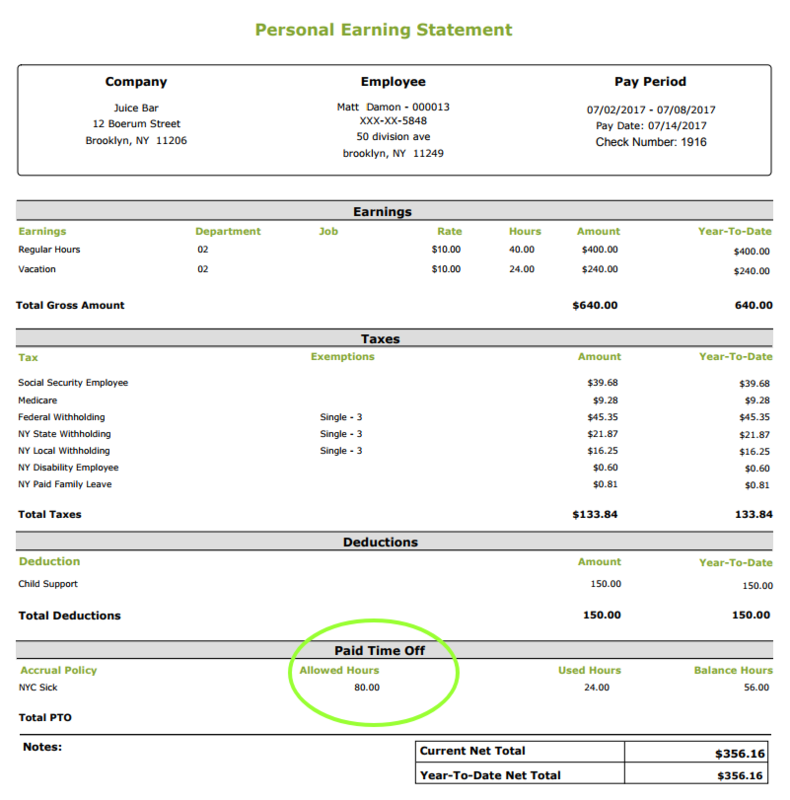 With our new feature, you can set time off to reflect on your employees’ printed pay stubs. This is just another addition we’ve added based on your feedback, which we always value and listen to. Let us know what you think of this new feature on Facebook, LinkedIn, or Twitter, and follow us to provide feedback and be updated on new features as soon as they’re released!